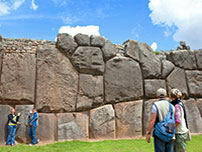 The name Sacsaywaman or Sacsayhuamán is derived from two Quechua words: “Sacsay,” which means satiate and “wamán," which means hawk; together they mean “eat your fill, hawk.” This puzzling meaning is a reference to the fact that the birds were divine protectors of the Incas and the military battalions. It is located 1.25 miles from Cusco's square at an altitude of 12,140 feet above sea level, surrounded by the mountains Ausangate, Pachatusán and Sencca. 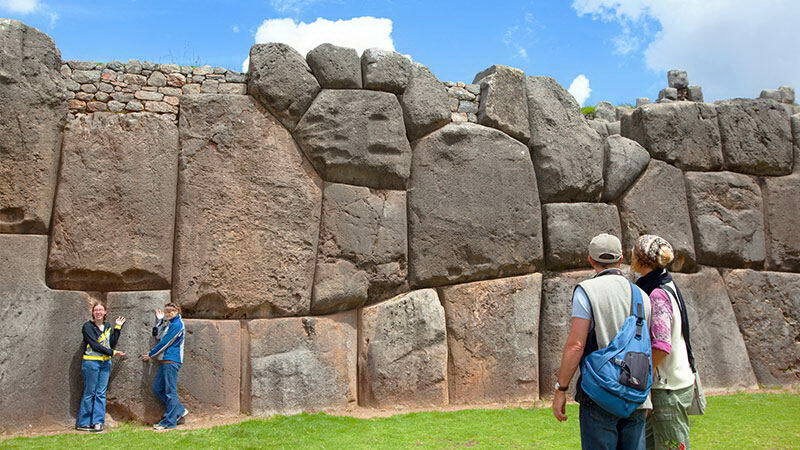 It covers an area of twelve square miles, which hold incredible archaeological and architectural sites, including: Kolcampata, Qenqo Grande and Qenqo Chico, Laqo, Kusilluchayoq, Lanlakuyuq, Llaullipata, Chacan, Pukapukara and Tambomachay. 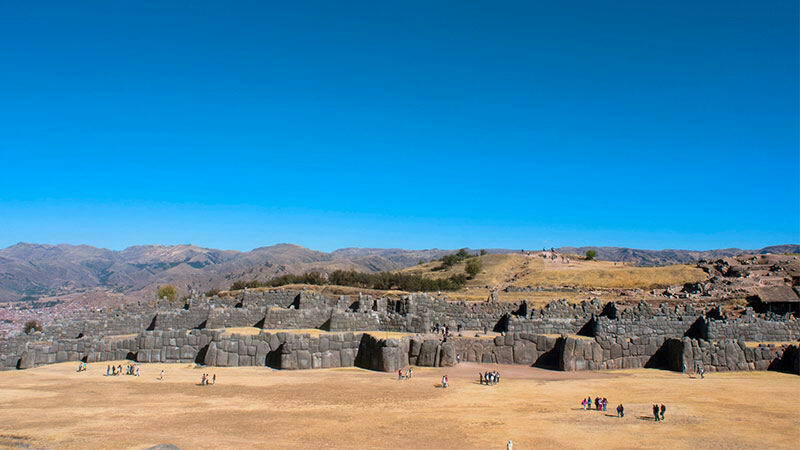 It is believed that around 20,000 men worked to cut and transport gigantic stones from Huaqoto and Rumiqolqa and build this ceremonial Inca fortress. 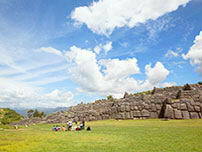 Sacsayhuamán is an architectural work with megalithic walls made of stones than can weigh from 99 to 138 tons. The stones are different sizes and some have more than one hundred angles, each fitted and joined to the other with no mortar of any kind. Altitude: 12,140 feet above sea level. Distance from the city: 1.25 miles. 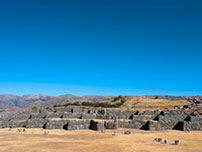 Sacsayhuamán forms part of the Cusco archaeological circuit, which continues on to Qenko, Puca Pucara and Tampumachay. 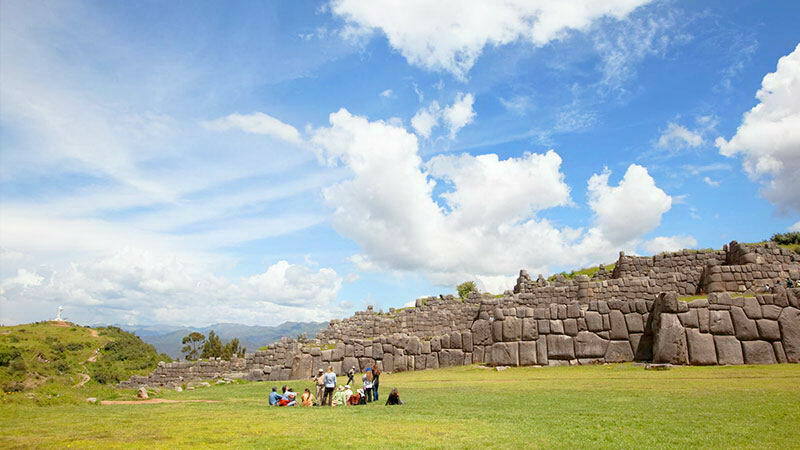 The Sacsayhuamán section is perfect for people that like to hike as they can explore the whole fortress.